Easter eggs are so fun to color and decorate. But first, you have to boil them, and then, when you've made them so beautiful, they have to stay in the fridge until you eat them. 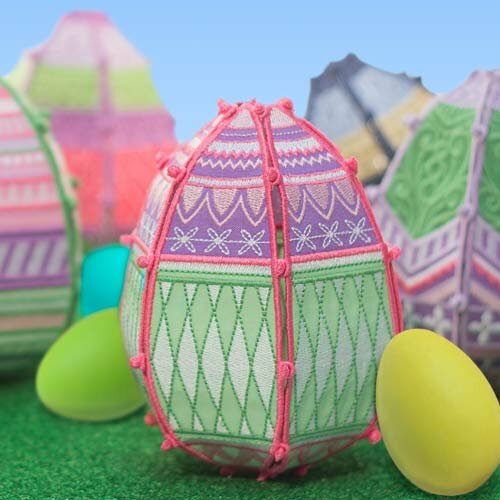 These darling eggs don't have to be put in the fridge - they are embroidered! They are Free-Standing Lace. You can do them in any color and have them out any time of the year. There are five designs and some applique. Free-Standing Lace is very pretty and relatively easy to do.